Having side swept bangs can always add an overall good effect to anyone’s look. 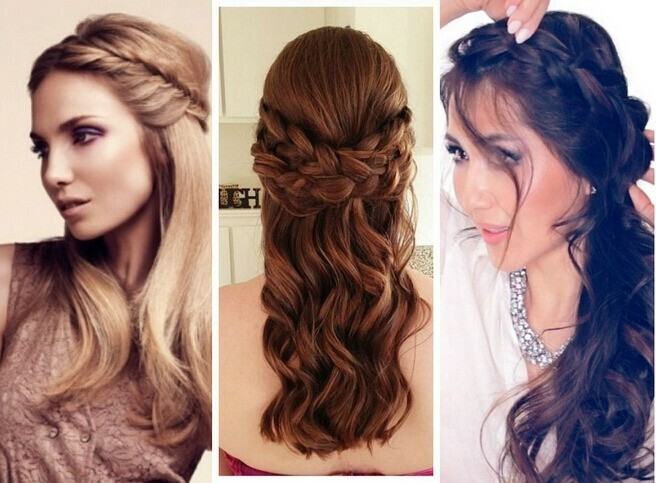 They are very easy to style and can make any hairstyle look more amazing than usual. One of the greatest misconceptions of people is believing that their hairstyle will not fit them because of their current face shape but this is not the case at all. Side Swept bangs can always make any hair look fuller or more modern depending on how it will be cut. Some women would love to be mysterious and would use their hair as something that they can use to add mystery to their overall look. Perhaps knowing more about the nice hairstyles that are available will eventually allow you to choose one that will work well for your face shape and personality. There was a time when having a zigzag parting was considered to be so cool that everyone wanted to try it. Over the past years, it has fallen below the radar and this is the reason why seeing it now can actually make it stand out. It is different so it will surely be noticed by a lot of people. In order to make it even more interesting, long strands can work well with it. The side swept long bangs sometimes cover the face and this can make any woman look endearing. Having short hair does not mean that you cannot wear your bangs long anymore. There are actually some people who have bangs that are as long as the rest of their hair. This will always depend on people and what they want. Having flicked side swept bangs can be amazing because there are times when hairstyles can look boring. The flicked style can change everything and improve the overall appearance of the whole look. This may look best with people who have oval or square shaped faces. Who says that bangs always have to be straight? There will be moments when side swept bangs can also look amazing with curly hair but it will work best with gentle curls. The curls can make the hair look like as if it has texture. This can also make the overall look of the hair from boring to very interesting. This type of hairstyle may be perfect for days when you want to look your best or when you are meeting up with other people. This may not be the best hairstyle to have when you are in the office. When you have side swept bangs, you would like to have a hairstyle that will work best with the type of bangs that you have and the best option for this is to have a choppy hairstyle. This is perfect for people who would like to make their hair have more volume than usual. The style of the hair also has to be layered so that the chops can be evident. The side swept bangs can be the shortest layer and they can look amazing with the rest of your hair. There are some people who assume that when people have short hair, they cannot have side swept bangs anymore but this is not the case at all. Having a pixie cut can be too much for women who are not used to not having enough hair on their heads. Having side swept bangs can balance out the whole look and can make a lot of women look more feminine than usual. Women with oval and heart shaped faces can look amazing with this type of hairstyle. One of the misconceptions of people is assuming that side swept bangs are very simple and are usually short but there are some side swept bangs that may be a bit longer than usual. For women with shoulder length hairstyle, having bangs added can improve the overall look a lot. This can be amazing for people who want to add a bit of drama to their hair without having to cover their face and their amazing features all the time. Whenever you see braided crowns, you usually have a hairstyle that will frame your whole head without any bangs but what if you can change your look by adding side swept bangs? You can expect that you will look more feminine and at the same time, this is a hairstyle that can be perfect for days when you just want to look different from usual. This is a hairstyle that you can wear straight from the office and to another event. You may think that in order to have amazing looking side swept bangs, your bangs have to stand out and should look amazing but there are moments when the effort is not needed that much. A simple sweep can frame the face very well and in order to add a bit of drama to your overall look, it will be best if you can have an updo hairstyle. There is a big chance that you would like to have bangs that can look perfect with any hairstyle that you may choose. Perhaps you want to have bangs that will somehow hide your face but not to the point that you will not be recognized anymore. This is just the perfect bangs for you to have. You can be sure that the long and light bangs will perfectly frame your face. Wear this to parties with your friends but this might not be a good hairstyle to wear when you have to attend a formal event. Who says that side swept bangs cannot be curly? They can be curly as long as they would be done correctly. This can be a great hairstyle to have when you are attending any event because this can make your look perfect for any formal event. While this is a look that can look great on people with slim faces, this can be worn by anyone with confidence. It does not matter what the curent length of your hair is as long as you would have side swept bangs that are neither curly nor straight. Rather, the bangs that you will have is wavy and will be swept on one side of your face. This is the perfect way to spice up your bangs as it will play up your delicate features a lot. If you want, you can add hair accessories too because this will add a nice addition to your hairstyle. If you currently have a full fringe but it is already growing out a big, you know that it can be an advantage for you if you would make your bangs go towards the side a bit. In order to make this look amazing on you, you may want to make sure that you would add a bit of hairspray to it once you place it on the side. This can look perfect on women with slim faces. There is a big chance that you would like your long side swept bangs to still look perfect with the rest of your hair. You will be able to do this if your hair would be in an updo. In order to make this look perfect, make sure that you have a center parting with the long bangs swept on one side. You should not make your hairstyle look too stiff because this will not look with the rest of your hair. If you have a short to medium length hairstyle, you may want to have bangs that can fit well with the rest of your hair. No need to worry anymore about which one you will pick because you can easily choose to have short flicked bangs. These bangs may just fall on the high portion of your forehead. You can be sure that this will look great on you. If you want to see something that is different, you will not have any trouble with having thick bangs that are also side swept at the same time. This has been done by a lot of people for a long period of time so trying out this hairstyle will not be hard for you to do as well. You can be sure that this can improve your overall look so that you will look dramatic and amazing. The above mentioned side swept hairstyles are just some of the few that you would need to check. You can be sure that you will not have any trouble because side swept bangs do not require a lot of effort to style. Just find the right hairstyle for your face shape and you can have a hairstyle that you would want to wear for a long period of time.